(November 2015) Dictionaries provide a long list of benefits: a resource for students who want to know the meaning of an unfamiliar word, a reference for writers, a guide to standard spelling and a reference for the community’s traditional knowledge of local plants and animals. A dictionary can bolster a community’s pride in its language and compiling the words and definitions provides a tangible goal for mother-tongue speakers to work toward together. 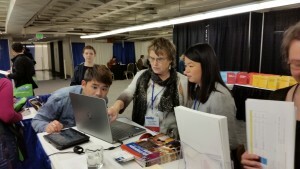 SIL’s Dictionary and Lexicography Services team is dedicated to supporting language communities around the world as they develop dictionaries for their languages. (October 2015) A select group of experts recently gathered in Oxford, UK, to explore language and technology topics at an event organized by Oxford University Press (OUP). 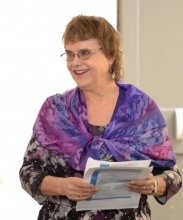 SIL’s Verna Stutzman, Dictionary and Lexicography Services Coordinator, was among the seventy leaders from various fields invited to participate in the Oxford Global Languages Symposium. Following the symposium, Stutzman was invited to introduce the Rapid Word Collection method to an OUP team in a 90-minute online presentation. Read the full article at sil.org. (March 2015) Two communities in Ethiopia recently began the process of dictionary development. Mother-tongue speakers of Gwama and Koorete partnered with SIL’s Dictionary & Lexicography Services team and SIL Ethiopia to organize Rapid Word Collection (RWC) workshops. Read the full article at sil.org. (January 2015) Verna Stutzman, coordinator of SIL’s Dictionary & Lexicography Services team, introduced Webonary.org to LSA attendees at SIL’s booth in the exhibit hall. Designed to integrate with the dictionary development program FLEx, Webonary is a platform for publishing multilingual minority language dictionaries online with a minimal amount of technical support needed. Read the full article at sil.org. (November 2014) Members of Nepal’s Madhya-Purbiya Tharu community recently participated in a Rapid Word Collection workshop—the first step in developing a dictionary for their language. Co-sponsored by the Mother Tongue Centre Nepal (MTCN) and SIL Nepal, the workshop was held in Kathmandu 9-17 September. Read the full article at sil.org. 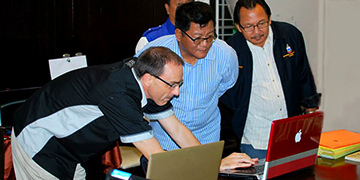 (November 2013) At the conclusion of a recent workshop in Sabah, Malaysia, mother tongue speakers of the Suang Lotud language had already collected over 5,000 words, the first step in creating a tri-lingual Lotud-Malay-English dictionary. Through a methodology called Rapid Word Collection (RWC), the workshop has provided a foundation for the ongoing process of dictionary building by community members. Read the full article at sil.org. (March 2014) Though separated by continents and oceans, two communities committed to developing their languages have recently taken a significant step towards the same goal: creating a dictionary for their language. Kaansa speakers in Burkina Faso and Malango speakers in the Solomon Islands recently completed a Rapid Word Collection workshop. Read the full article at sil.org.